You’ve finally done it. You’ve decided to sell Young Living products. You have set up your website, you have developed your marketing plan, and you’re finally ready to get started! You don’t know how to sell. You might even be afraid of selling. You’re not alone. Many of our members don’t come from a sales background. You’re probably afraid of being too pushy. Or maybe you’re afraid of rejection. It’s possible that you might even be afraid to approach people about your products. These are all natural fears. But, they don’t have to be overwhelming! Selling is a skill that can be learned. If you’re willing to put in the effort, you can become a master salesman. In this post, you will learn some sales techniques that will make it easier to sell Young Living products. Getting more customers means knowing how to manage your sales conversations. Whenever you’re going to speak with a prospect about your products, you need to have a plan. “Winging it” isn’t a good sales strategy. That’s why you need to create your own sales process. A sales process is a series of steps you will follow as you get your prospect to become a paying customer. Before speaking to a prospect, you want to make sure she’s a good fit for what you’re selling. The last thing you want to do is spend time on somebody who can’t or won’t buy your product. Being good at qualifying prospects will save you tons of time. And it’s not too difficult! Do they seem to be serious about learning more about Young Living? Or are they humoring you? Can they afford it? What is their budget? Do you have the time necessary to pursue this prospect? What does your gut say? Are you getting a good feeling about this prospect? When you’re sure the prospect is worth pursuing, then you can move on to the next part of the sales process. Positioning is the key to getting your prospect excited about Young Living. It’s a way to introduce the product in a way that inspires curiosity. This is especially effective if they haven’t heard of Young Living. After you position your products, you will invite them to have a deeper conversation about it. Whenever you’re selling, you need to focus on the benefits of what you offer. You don’t want to emphasize the essential oils themselves. You want to talk about the benefits that come with being a Young Living customer. You don’t need to list off every single benefit that Young Living offers just yet. Just give them something that will pique their curiosity. Of course, you can think of your own benefit statements as well. However, it’s not just about using benefit statements. It’s about using the right benefit statements for the prospect you’re dealing with. Use the one that you think will matter most to your prospect. After talking about the benefits, you need to give proof of what you’re saying. It’s very important to give your prospect a reason to believe your claims. I’m not saying you need to give them a bunch of facts and figures. You just want to show them proof that what you’re saying is true. Young Living has been creating essential oils for over 20 years. Young Living serves millions of customers worldwide. 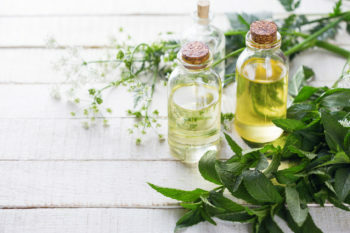 Essential oils have been shown to promote better health and happiness. See? Not too difficult, right? After giving proof of what your product can do, you can move on to the next section. This is the most important part of your sales process. If you skip this part, you probably won’t get the sale. The key to effective selling is understanding your prospect. You need to know what they want and need. The best way to do this is to ask good questions. The questions you ask should be designed to figure out what your prospects want. The key to understanding prospects is to ask open-ended questions instead of close-ended questions. These types of questions will give you more information about your prospect. Close-ended questions can only be answered with a “yes” or “no.” It’s a one-word answer that doesn’t give you much information. Close-ended: Did you like the essential oils you were using before? Open-ended: What did you like about the essential oils that you’ve used in the past? If you rely on close-ended questions, you won’t get much information about your prospect. However, if you use open-ended questions, it will encourage your prospect to talk more. Asking good questions is what will help you understand how you should pitch your prospect when the time comes. If you want to sell Young Living more effectively, ask great questions! After you know what your customer needs, it’s time to pitch your offering. Since you took the time to ask the right questions, you’ll know exactly how to present your product in a way that makes your prospect want to buy. When you’re pitching your product, the main thing you need to remember is something you have already read in this post. It’s about benefits! You can’t rely on the features of your essential oils to sell Young Living products. You need to focus on how the customer will be better off after they buy. It’s something that works in marketing as well. After you have given your pitch, you need to check and see if your prospect has any other questions. You want to make sure there aren’t any objections before you try to close. If there are objections, you have to address them accordingly. If not, it’s time to close. Just ask for the order. Yep. That’s it. Simple right? Being too afraid to do it. The first one is easier to overcome. It’s really a matter of making it a habit. Once the prospect has no questions, you ask for the order. The 2nd obstacle is the hardest. Being afraid to close is a common fear. The last thing you want to do is to come off as pushy, right? Nobody wants to look like a used-car salesman. Here’s the thing. If you have taken the time to get to know your prospect’s needs and explain why essential can bring great benefits to your prospect, you have earned the right to ask for their business. After all, what’s the worst they could say? If they say no, then you can determine whether to keep trying or whether to move on. Rejection isn’t as horrible as you might think. Learning how to sell isn’t easy. It’s a learning process. But if you practice what you learn along the way, you will find it much easier to get more prospects to become paying customers.